Mubarak was originally sentenced to life in prison in 2012 for conspiring to murder more than 200 protesters during the 18-day uprising, which began on January 25, 2011. CAIRO: A top Egyptian court today acquitted ailing former president Hosni Mubarak of his involvement in the killing of hundreds of protesters during the 2011 uprising that ended his nearly three-decade rule, in a final ruling that could set him free. However, a retrial was ordered on appeal, and the court cleared Mubarak and his aides, including his Interior Minister Habib el-Adli, of the charge in November 2014. The ruling provoked a public outcry and public prosecutors appealed the ruling over procedural violations. Today's ruling by the Court of Cassation is final and cannot be appealed. "The court has found the defendant innocent," the judge said in his verdict after an all-day hearing. 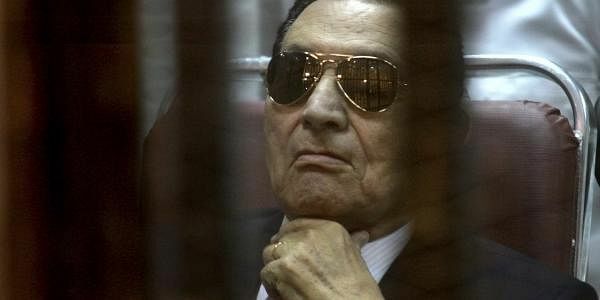 Earlier during the trial, Mubarak, who was sitting in a wheelchair, denied the charge saying, "It did not happen." The 88-year-old lives in a military hospital in Egyptian capital Cairo since his arrest in 2001, where he is serving a three-year sentence in a separate case related to corruption. More than 800 people were killed and several thousand wounded during the protests and subsequent riots.